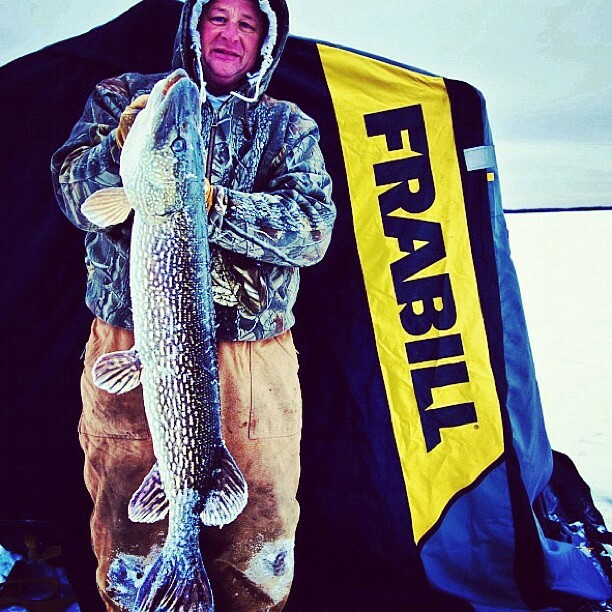 Remember to always take all precautions on the lake and double check thickness! Happy Fishing. It’s that time again for App Nominations! 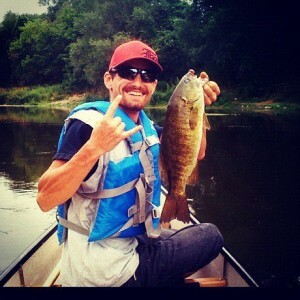 If you could take a minute an Nominate the iFish Series for BEST OUTDOOR APP & BEST SPORTS APP, that would be awesome! All you have to do is “Find Home” and follow the links and press NOMINATE. If you are feeling extra generous this holiday season, just click through all links and press Nominate! 3 of our Canadian Apps made it into the top 5 this morning in the App Store for Sports. The Apps have all been hovering in the top spots for quite a while now, it’s exciting to see all 3 up there at the same time. Thanks to all our users, keep on HotSpottin’ and giving us awesome Lake Reports. Fish On! Here is a user-submitted ice thickness update! This is user-submitted, so always double check thickness, fish safe!! We’re getting so much love from our user’s submitting us there photos! It’s awesome. 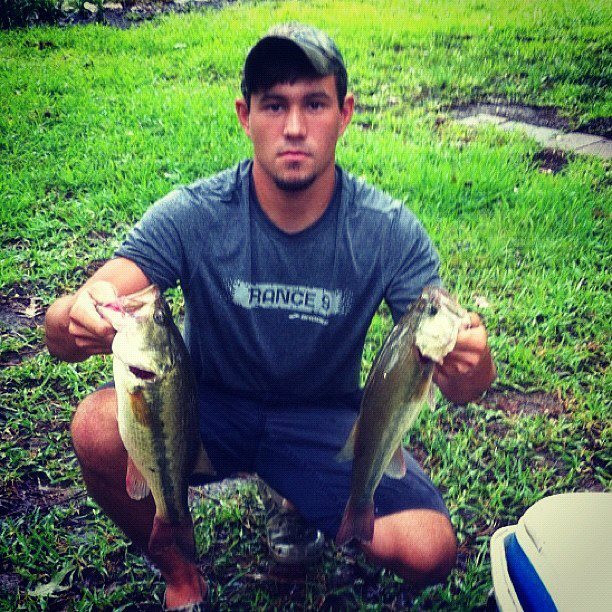 Here’s a couple of my recent favorites that were tagged #appsforanglers on Instagram! Email em, Tweet em, Facebook em, Instagram em.. and I will repost for ya! Happy Fishing! iFish Arizona Available in the App Store! iFish Arizona is now available in the App Store for your iPhone or iPad!! Know When, Where and How to fish a lake near you! The App features over 1,000 lakes, ponds & reservoirs across the state of Arizona. Mark warnings, boat launches, and fishing HotSpots (either private or public) on your favorite fishing lakes! Check out the solunar fishing calendars, weather forecasts, and view the LIVE lake reports and feedback from fellow anglers. Full of fishing how-to’s, videos, state-specific documents, species reference and access to the State Licensing & Regulation Info. With the cutting edge Catch Log, you are able to track your catches, add details, pictures & share to facebook, email or twitter. The handy GloveBox allows you to store images of licenses, receipts and more! 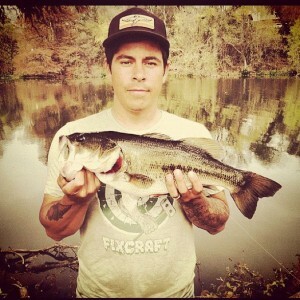 Get the App today & Fish With Attitude! These are user-submitted, ALWAYS double check ice thickness. Fish hard & fish safe! 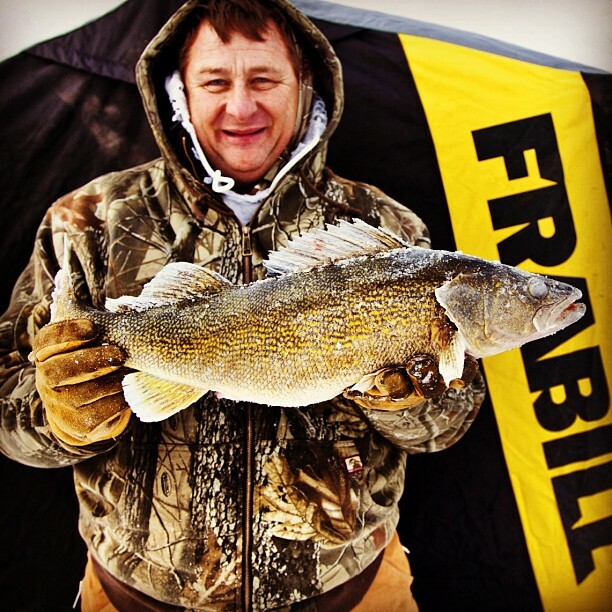 Here’s a sneak peak at a couple of the ICE FISHING photos that have been sent to us through Instagram! Tag #AppsForAnglers in your fishing pics for us to repost! iFish Texas Update Now Available! The new iFish Texas Update is now out! Make sure you head to the App Store and update your device. We have some great new features for you. We’ve added Recently Viewed Lakes when you are doing a lake search. This allows you to see the last few lakes you’ve viewed to quickly find them again. You can now sync you Catches and Glove Box to other devices with our new Back Up Feature. This is great for making sure you don’t lose your catches, and lets you have them on multiple devices; such as your iPad and iPhone. Brag your catches to us with our new Brag To iFish Feature. Now when you go to share your catch to Facebook/Twitter, we’ve added a Brag Button. This will send your catch and all its details to the iFish Team for us to share on our Facebook. Twitter, Blogs, Instagram etc! *Coming Soon* - Access your iFish Account from your computer, allowing you to view and edit your HotSpots and see your catches online! iFish USA Update Now Available! The new iFish USA Update is now out! Make sure you head to the App Store and update your device. We have some great new features for you. You can now sync you Catches and Glov e Box to other devices with our new Back Up Feature. This is great for making sure you don’t lose your catches, and lets you have them on multiple devices; such as your iPad and iPhone. *Coming Soon* – Access your iFish Account from your computer, allowing you to view and edit your HotSpots and see your catches online!